Kerala is a special place. The biennale is a natural extension to the enormous maritime and multicultural history of Kochi. I donai??i? ?t think there could be a better location anywhere else in India.ai???Ai?? Until earlier this December, the Kottappuram (Cranganore) Fort, in Thrissur District of Kerala, was practically unheard of. As it stands, the fort is almost entirely consumed by the earth, with little more than segments of ancient brick walls left standing. Built by the Portuguese in the 16th century, the fort was once vital to the trade routes of the region, as it commands a view of the River Periyar flowing into the Arabian Sea. The ancient port of Muziris, from where the Kochi-Muziris Biennale gets its name, is believed to be in this area. Named as a last-minute addition to the biennaleai??i? ?s venues, Kottappuram Fort can now hope to relive some of its lost splendour. 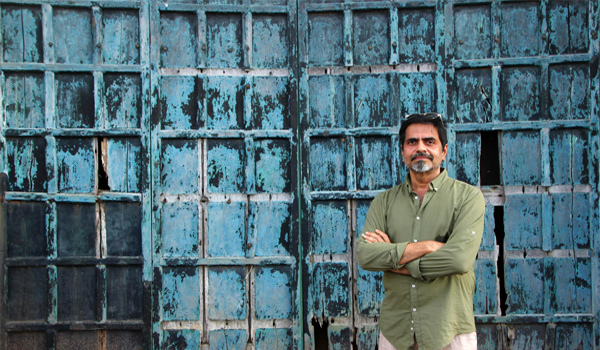 Curated by the artist Sudarshan Shetty, the biennaleai??i? ?s third edition promises a confluence of art forms, bringing in diverse practices from digital art and sound sculptures to installations and performance. Yet, the Biennale Foundationai??i? ?s intention is not merely to host a festival; it really is to build a town bustling with art. This week, Fort Kochi will transform into a town-wide carnival, celebrating art in a manner unlike any other festival. 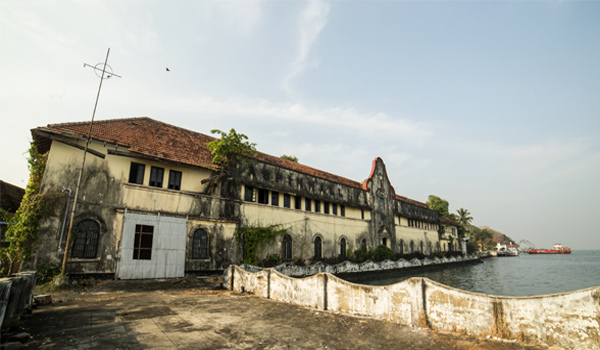 Since its inaugural edition in 2012, the Biennale Foundation has steadfastly worked to renovate neglected heritage sites in and around the town of Fort Kochi. The efforts have dramatically altered the townai??i? ?s landscape, converting the colonial properties and rundown warehouses into cosy cubby holes and spaces for art. 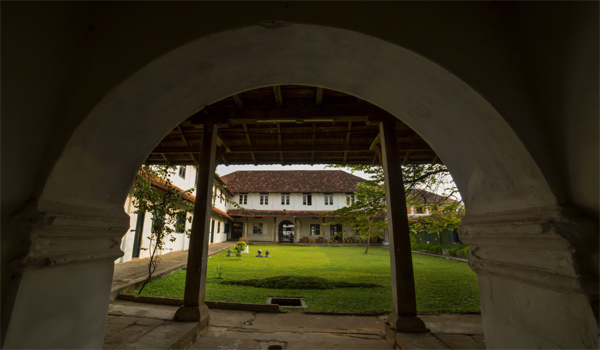 The one-time Dutch quarters of David Hall, the Church of South India (CSI) Bungalow, and Mandalay Hall, were among the other renovated structures, while the Durbar Hall, in Ernakulam, a former royal court of the Maharajas of Cochin, was converted into an international-grade museum. Many of these venues feature in the biennaleai??i? ?s third edition, apart from Cabral Yard, Kashi Art Cafe, and the MAP Project Space, on the Bazaar Road, leading to the neighbourhood of Mattancherry, and the old Jew Town. At the Kochi-Muziris Biennale, the art is removed from whitewashed cube galleries, closeted booths and carpeted arenas. Instead, the art is in old-world cottages, sprawling manor halls and mansions by the sea, on the streets, in public parks and squares, by the beach, in quaint nooks and crannies, and chiefly, among the local townsfolk, who cheerily sally forth conversations about all the art on show. The spread of works at the Biennale is immense, with an official 97 participating artists from 36 countries. ai?? ?Each artist was carefully considered for their practice,ai??? says Shetty. The unifying focus, yet, is simple ai??i?? to open up discussions about art. Shetty recalls being a part of the biennaleai??i? ?s first edition as an artist, and as a spectator in the second. ai???Iai??i? ?ve seen busloads of people visiting from neighbouring villages, and engaging with every work, every text on the walls with a keen interest that is unrivalled,ai??? he says. The challenge for Shetty, as a curator, was to broaden the festivalai??i? ?s purview. ai?? ?I was interested in practices seemingly outside the expectations of a biennale,ai??? he says. ai?? ?For instance, a lot of practices in India are termed ai???traditionalai??i? ?, but in my mind, they are eminently contemporary in nature.ai??? His task, explains Shetty, was to mediate between seemingly traditional practices and contemporary art spaces. At the biennale, viewers can expect diverse practices, from video and film to kinetic and light sculptures, alongside projects of poetry and writing, and even a dance recital by Padmini Chettur. ai?? ?The approach helped open up windows to look within art practices from an entirely different perspective,ai??? adds Shetty. 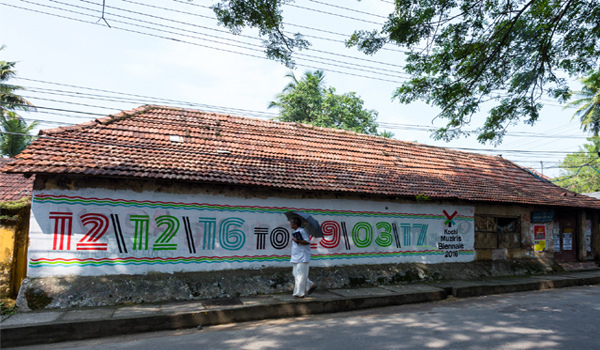 In the months leading up to the biennale, the sleepy hamlet of Fort Kochi turned into a hub of frenzied activity, swarmed by local and visiting artists. Art tourism, as a rising phenomenon, will find hope in the previous edition, which recorded half a million footfalls. ai?? ?One of the factors that makes the biennale special is the local participation,ai??? adds Shetty. In effect, the townai??i? ?s roadside cafAi? ?s, coffee shops, restaurants and hangouts will befittingly transform into informal zones for art appreciation. The biennaleai??i? ?s theme, ai?? ?forming in the pupil of an eyeai??i? ?, was taken from the poetry of the author, Sharmistha Mohanty. The theme, which relates to a Vedic notion of a sageai??i? ?s all-seeing gaze, gave shape to Shettyai??i? ?s curatorial intentions. ai?? ?It was a challenge to include as many multiplicities as possible,ai??? he says. A Studentsai??i?? Biennale initiative, led by 5 curators, will enable interactions between art schools across the country. This segment will feature Bangalore-based artist Abhishek Hazraai??i? ?s guided tours. ai?? ?It will be a way of embracing the city into the experience,ai??? says Shetty. The biennale will also include the 10th SiGNS Film Festival, hosting documentaries, short films, retrospectives and curated selections of haiku films. The Biennale Pavilion, set to host many of the screenings, seminars, talks and performances, was designed by the architect Tony Joseph of Stapati. For Shetty, the biennale brings a fitting close to an eventful year, one which he began with Shoonya Ghar, an immersive solo show at the National Gallery of Modern Art, New Delhi. In November, Shetty was named the first Indian artist to be commissioned by the Rolls-Royce Art Programme, for which he presented his work, A Song A Story, based on the retelling of a folk tale from Karnataka. The story was written in lyrical form in the dialect of Brij Bhasha, by Rajesh Gautam, and composed and performed by Pandit Raja Kale, with his daughter Amruta Kale. The work is made of two wooden structures built as sets for two films shot by Vinay Mahidhar. ai?? ?They tell the same story twice,ai??? explains Shetty, asboth the films are projected simultaneously with a single-sound track. Shettyai??i? ?s newer works have proven instrumental in marking a shift in engaging with viewers, and not merely at a visceral level. The idea of making art an overall experiential experience extends to his vision for the biennale. However, in promoting new practices, and encouraging explorations of form and identity, the intention is not to provide launchpads for artists, insists Shetty. ai?? ?It is much larger than that. This is about generating meaningful conversations that lead us into the future. It could be a way of looking back as a way of looking forward.ai??? ai?? ?For years, the social survival of Indian contemporary art was dependent on a meagre market,ai??? offers Shetty. ai?? ?The market was personality driven. Any kind of support, from the State or private entities was very little.ai??? The biennale has come a long way in quick time, to establish a unique space, he agrees. ai?? ?The Kochi-Muziris Biennale stands outside the market forces,ai??? says Shetty. ai?? ?This is a space for reflection upon our place in a world that could be termed as contemporary.ai??? In a way, the biennale questions the role of the market, asserts Shetty. ai?? ?In the last decade or so, I have seen a sea change in ways of disseminating art across the board,ai??? he adds. ai?? ?Social media can be an effective tool for the dissemination of ideas. But, as an artist, one must use this tool with an acute sense of a social responsibility.ai??? The pertinent questions are simplistic, offers Shetty. ai?? ?Why is art important? What is the function of art? There cannot be one conclusive answer,ai??? he says. ai?? ?What is contemporary art? What must it look or sound like? How do we look at patronage and evolve with the changing times?ai??? Discussions at the biennale will attempt to answer such questions, he reassures. Gary Hillai??i? ?s long-running works in mixed and interactive media (ai???intermediaai???) explore issues such as the physicality of language, synesthesia and perceptual conundrums, ontological spaces and viewer interactivity. The graphic artist, designer and activist Orijit Sen will engage with local communities to document their oral histories. Naiza Khan captures day-to-day experiences of life in Karachi, Pakistan, exploring the concept of breaching borders, as well as the perceptual and textural building of terrain. Floating Land, an ongoing project by the duo of Sophie Dejode and Bertrand Lacombe, aims to create a sovereign space within the art world, allowing artists to imagine alternative ways of working and living. Dutch artist Erik van Lieshout offers provocative observations on issues of ethnic diversity, marginalised identities and modern-day consumerism. French artist Caroline Duchatelet explores the relationship of light and landscapes, repeated filming daybreak vistas over extended periods of time. Camille Norment from Norway examines socio-cultural phenomena in her sound installations, apart from light sculptures, performance and video works. Her ensemble, the Camille Norment Trio, plays electric guitar, hardingfele (Norwegian fiddle), and the rare instrument of a glass armonica. Colombian artist Pedro GA?mez-EgaAi??aai??i? ?s practice covers performance, sculpture, video, installation and sound, as he presents his works in the form of animated objects, staged scenarios or as seemingly haunted environments, where objects and machines are transformed through audience participation. Wura-Natasha Ogunji is best known for her videos, in which she uses her body to explore movement and mark-making across water, land and air. Her performance series, Mo gbo mo branch / I heard and I branched myself into the party, explores the presence of women in public spaces in Lagos, Nigeria. Scottish artist Charles Averyai??i? ?s long-running project, The Islanders, narrates the story of an imaginary island,Ai?? which he situates within the city of Kochi. Sudarshan Shettyai??i? ?s work Six Drops (2009) treads a new realm of exploration, in a virtual and animated form rather than being centered around objects ai??i?? both large and small-scale, static and moving. The work focuses on virtual movement, as the artistai??i? ?s vital fluids drop on the museumai??i? ?s floor. Regenerating as forms of art, the six drops represent the six mythic enemies within the self, while the work, in the words of the artist, mocks ideas of exhibiting, and the transformation of the self.